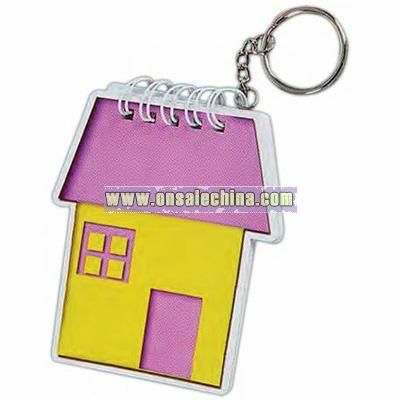 Custom 3D lenticular note book key chain. 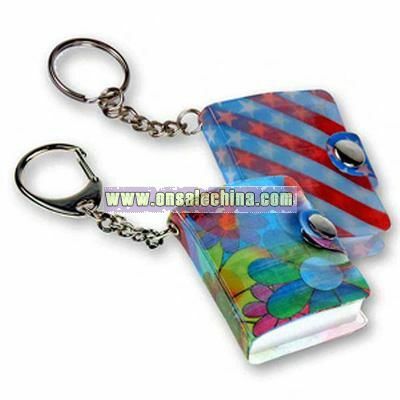 Mini Notebook made of Lenticular PVC and attached to a key chain is made to be used. 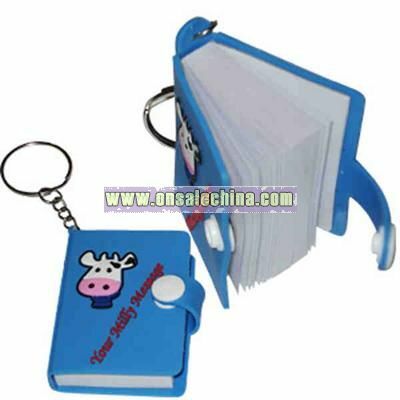 Store notes or phone numbers and attach keys to this amazing promotional gift. 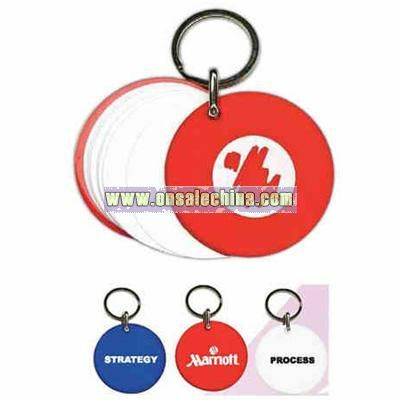 Snap the key chain closed to ensure that the paper does not get damaged. 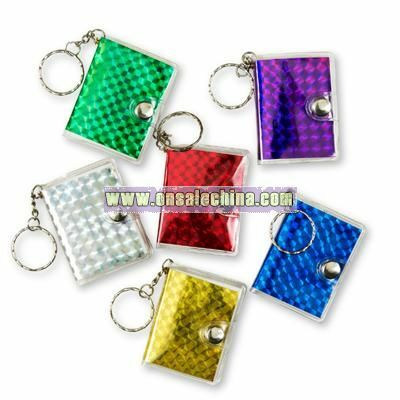 Bend it and twist is and the key chain will not be damaged! 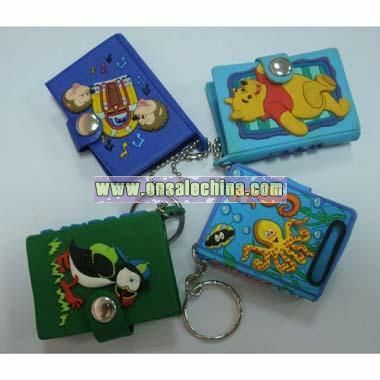 Small and versatile key chain is perfect for children. 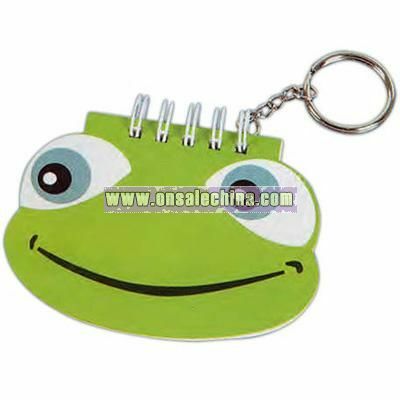 Features stunning Lenticular effects. The front and back are both welded using radio frequency. A must have gift. 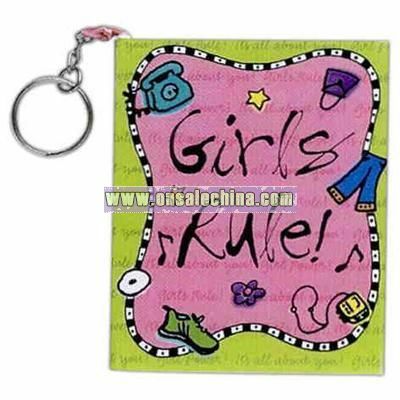 Size: 2 1/8" x 1 5/8"